Stone monument in Veterans Memorial Park. 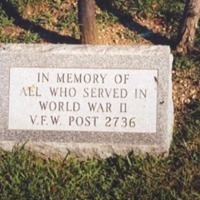 Dedicated in 1996 by the V.F.W. 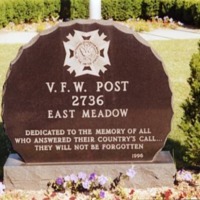 Post 2736 East Meadow, the inscription reads, "Dedicated to the memory of all who answered their country's call...they will not be forgotten"